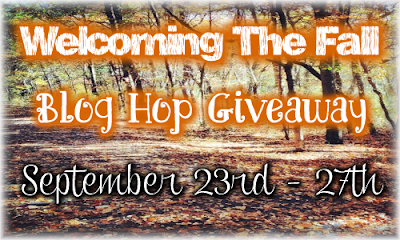 Welcoming the Fall Giveaway Hop hosted by Damaris from Good Choice Reading! Open in the U.S. Only. This book sounds awesome. 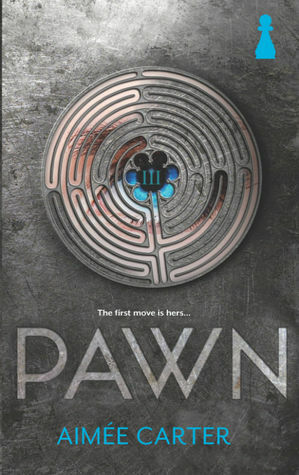 I cant wait to read it. Fallon Vaughn - joefallon1@yahoo.com dog earing the pages is a no no! I love reading while taking a bath but I can read almost anywhere if the book holds my attention but I can not stop unless I am at a new chapter. I always use a bookmark--can't stand messing up the pages! Just finishing up Carter's other series, this looks great! Thanks for the chance to win. my favorite things about fall is pretty much everything but stink bugs trying to get in the house(nasty things).. i love the leaves turning, the nice crisp air, son's birthday, and halloween just around the corner!!!! The cooler weather! Halloween is pretty awesome too :) Thanks for the giveaway! the cooler weather, the leaves changing color :) Thanks for the fun giveaway! Cooler weather and the leaves changing colors. Thanks for the hop and giveaway. The weather. (: Summer's too hot, so I'm happy when it cools down. The changing leaves and all the great colors. Thanks for the giveaway! I love the smell, of course and the chill. My favorite thing about this fall in particular is seeing my daughter go to preK and loving it, and also all of the amazing YA books coming out that I have been waiting so long for!!! My favorite thing in fall is the changing of the colors and falling of the leafs and this might sound silly but I love when I go outside and smell the air of fall I Love It! thanks for the awesome giveaway! I love Thanksgiving because I get to see the family! Things I love about fall: sweaters and jeans and boots and hot apple cider and cooler temps and the changing leaves and everything! It's my favorite. Thanks for the giveaway! I love the changing colors!! It's starting now and I'm so excited! Fall season and the changing.. mountains and hills.. hiking.. smells of cooked applesauce, apple picking.. so many things. Falling leaves, cooler weather and pumpkins! The nip in the air!